Shazam! tells the story of a young Billy Batson (Asher Angel) who became lost as a child. He bounces from foster home to foster home until he lands in the foster home of Victor (Cooper Andrews) and Rosa (Marta Milans) Vasquez. This couple had already taken in Frederick “Freddy Freeman (Jack Dylan Grazer from IT, don’t miss the leadership lessons from IT), Mary Bromfield (Grace Fulton), Eugene Choi (Ian Chen), Pedro Pena (Jovan Armand), and Darla Dudley (Faithe Herman). Billy was child number 6 in the already full household. But a fateful encounter on a subway train changes the course of Billy’s, and the rest of his foster siblings, lives forever. Billy meets The Wizard Shazam (Djimon Hounsou) who passes his magical powers to Billy. This transforms Billy into the superhero Shazam (played by the ever-lovable Chuck actor Zachary Levi). From there, Shazam! is a fun and enjoyable romp through the DC Comics universe. You’ll enjoy the humor and action. Not only that, but you will also discover the Reel Leadership lessons in Shazam! You can’t go crying to other people all the time. A man needs to know when to stand up for himself. On a trip to his grandfather’s, a young Thaddeus Sivana (Ethan Pugiotto) had been playing with his Magic 8-Ball asking it silly questions. His father had told him not to bring any toys and began to reprimand him. Eventually, Thad’s father tells him to stop crying and he needs to learn how to stand up for himself. While Thad’s father wasn’t a pleasant man, he did give Thad wise advice. You can’t go and cry to other people all the time. If someone does something wrong to you, you have to be willing to stand up for yourself. This goes for your everyday life and your time as a leader. People will not look to you as a leader if you go crying to someone else all of the time. 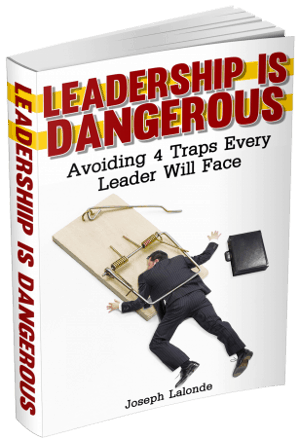 Leaders know they have to keep some things to themselves. They also know they need to stand up for themselves when the time comes. After the argument in the car, Thad’s dad and brother disappear and the car picks up speed. Not only that, the car begins to frost over. Talk about a scary time for a young boy! Before he knew it, Thad’s ride was over. He wound up in a new place. He was confronted by a new person, the Wizard Shazam. Transitions into leadership can be quick – Leadership lessons from Shazam! The trip to get to the lair of the Wizard Shazam was a short trip. It happened almost in the blink of an eye. The change was over before Thad knew what happened. Much like the way Thad went from the roadway to the lair, the journey of a leader happens. One day he’s minding his own business, the next he is tasked with being a leader. Do you remember the path your leadership journey took? Was it a long, winding journey? Or was it a quick, rapid change? Know you can transition to a leadership position quickly. The quick transition can be scary. It can also be handled well. The Wizard Shazam had brought Thaddeus to his lair because he was looking for a replacement. In his search, he was looking for someone who was pure of heart. He was looking for someone pure because of the power he would wield. The Wizard Shazam knew his power couldn’t be trusted to someone who had his own desires in mind. This excluded Thaddeus from his search. Thaddeus was tempted by the demons the Wizard had imprisoned. When it’s time to transition from leadership, know what you want to look for in a replacement. I believe one of those traits should be a pure heart. Someone who desires to see the organization succeed and thrive. Transitioning your leadership position to someone who is pure of heart will help the organization continue to thrive as you move into a new time of life. It’ll also leave the organization in good hands. Many times great organizations have been destroyed when the leadership baton was transferred to someone unworthy of the position. The Wizard Shazam was looking for a new person to take over his role as the The Wizard Shazam. His desire was to find someone who was pure of heart. His search wasn’t over in a day, a week, or even a year. At the start of Shazam!, we see the year is 1974. When The Wizard Shazam finally finds someone to take his mantle, it had been over 40 years of searching. Success takes time – Leadership lessons from Shazam! In this day and age of technology, we expect success to come quickly. Often, at the snap of a finger. You’ll discover, as The Wizard Shazam did, success isn’t easy or quick. You will have to work to become successful. You will have to work to find a successor. And you will have to work to make a difference. Don’t expect to become an overnight success. Instead, expect to work to find success. Dr. Thaddeus Sivana (Mark Strong) knew what he had seen on that fateful car ride. He knew there was another world where a wizard lived. This place contained untold power. He was working with researcher Lynn Crosby (Lotta Losten) interviewing various subjects who had encountered The Wizard Shazam as well. This was unbeknown to Lynn. She believed these subjects were experiencing mass hysteria. She said as much to Thaddeus. She told Thaddeus he couldn’t believe the nonsense coming out of the mouths of those they had interviewed. He did and it turned out to be the truth. The truth is out there. Sometimes, this truth is hard to believe. Yet, the truth is the truth. When you discover a hard to believe truth, study it. Find out if it is the truth or just a feeling. When it is the truth, you will pursue it and believe it. The Wizard Shazam brought Billy to his lair. There, he was able to unleash Billy’s full potential. Billy’s full potential was more than anyone would guess. He had the power of a hero hidden within him (granted, The Wizard Shazam passing his power to him didn’t hurt!). From this moment on, every time Billy said the word “Shazam!,” he would transform into the hero Shazam. All he had to do was say the magic word and his power was unleashed. You have the potential to lead – Leadership lessons from Shazam! How great would it be to be like Billy? To say a magic word and have all of our potential unleashed? I would love to be like Billy. But you and I are not like Billy. We have hidden potential within us. We cannot say a word and have the power unleashed. Instead, we have to dig deep within ourselves, discover who we are, and pull that potential out of ourselves. You have the potential within you. Will you pull it out? Only you can decide. When Billy becomes Shazam, he looks different. Unleashing his potential transforms him from a 14-year old boy into an approximately 38-year old body. This is quite the difference! Billy no longer looks like himself. He ages and grows. His unlocked potential changed the way people saw him. If you’re willing to step into your potential, it will change the way people see you. They will no longer see the screw-up, the lazy son, or the worthless step-child. Instead, in the place of their preconceived notion of you, they will see someone new. Someone different. Living in your potential will change you and the way others see you. Be willing to step into your potential. The first power Billy manifested as Shazam was the ability to shoot lightning bolts out of his hands. This was epic in its own right. However, Billy and Freddy soon discover there were more powers than lightning bolts. They continue to test Billy’s powers. It is soon evident he has superspeed, superstrength, and is bulletproof. Shazam is not a one-trick pony. Neither are you. You have multiple strengths within you. Did you know this? 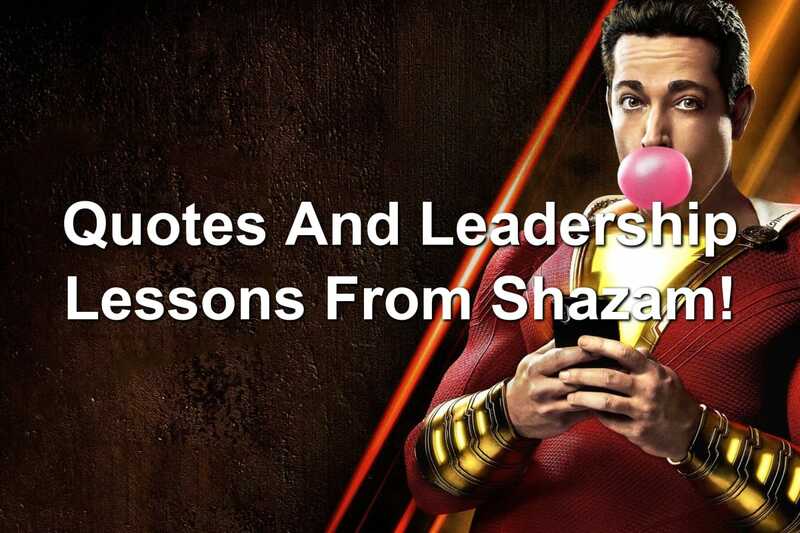 Leaders have multiple strengths – Leadership lessons from Shazam! You may be smart. But you may also know how to win the hearts of your people. Or you might be able to discover what motivates people. Whatever single strength you believe you have, keep digging. You will discover you are not a one trick pony. You have multiple strengths. Thaddeus’ father ran a company called Sivanna. This company had a stated value of family. If you remember, Thaddeus’ father was not a great father. He treated his family like garbage. The values of his company were not aligned with the leader. Be wary of leaders who state one value but live out a different one. These leaders are dangerous. They are bad. If you find yourself saying one thing but doing another, you need to check yourself. Living a conflicted life will destroy you. Mary was a step-sister of Billy. She was sending out college applications. She finally received an answer back from a college she longed to go to. Their answer? She was accepted. She experienced a moment of success. Yes! Success can bring #sadness – Leadership lessons from Shazam! Something else happened too. Mary felt profound sadness. She would have to leave her family. Her success left her sad. You may believe success will bring you happiness. Achieving your goals and rising to the top is awesome, right? Sometimes. And sometimes success brings sadness. You will see friends leave your side. You will change the way you act or look. And you will question whether or not success is all it’s cracked up to be. All this power and all you did was turn into a showoff and a bully. Freddy saw a slow turn in Billy and his attitude. Billy let his power corrupt him to the point where he had become a bully and a showoff. Billy forgot who he was. He forgot he was given the power of Shazam to help the world. Instead, Billy began to use his power to benefit himself. As a leader, you have to watch how you use your power. You will have a choice. You can use your power to benefit yourself or those you lead. Choose carefully. One will have people see you as a great leader. The other will leave people viewing you as a bully and showoff. Thaddeus gained the powers of the demons The Wizard Shazam had denied him earlier in the movie. This transformed him into a supervillain with nearly the same powers of Shazam. When Shazam and Dr. Sivanna met, Shazam believed himself to be untouchable. No one is able to hurt him. Or so he thought. Shazam soon discovered he wasn’t untouchable. There were people out there that could hurt him. Leaders are not untouchable – Leadership lessons from Shazam! You may believe becoming a leader sets you apart from others. Being a leader does that. But being a leader does not make you untouchable. There are others who will be able to bring you down if you become too big for your britches or do unacceptable things. Be cautious of the way you view yourself. You may be heading towards a smackdown. Probably the best message you can get from Shazam! is the power of family. Shazam discovers he can share his power. When his siblings hold the staff of Shazam and say his name, they are bestowed mighty powers. Freddy becomes Captain Marvel Jr. (Adam Brody), Mary becomes Mary Marvel (Michelle Borth), Eugene gains the wisdom of Solomon (Ross Butler), Pedro gains superpowers and becomes an adult (D.J. Cotrona), and Darla becomes a superfast adult (Meagan Good) version of herself. Don’t hog all of the leadership power you’re given. Great leaders know they can do more good by sharing their power. Give those around you the ability to work independently, problem solve, or hire help when needed. Empowering your team will free time for yourself and give them the confidence you believe in them. What good is power if you have noone to share it with? Billy Batson and Shazam learned an important lesson when he shared his power with his family. Sharing your power doesn’t make you weaker. Rather, it strengthens you and builds better relationships. Share the power of your leadership – Leadership lessons from Shazam! Question: Have you seen Shazam!? If you have, what leadership lessons did you take away from the movie? If you haven’t seen the movie, what Reel Leadership lesson from Shazam! resonated with you the most? Let’s talk about this in the comment section below.